Fedor Emelianenko vs. Matt Mitrione: Take 2. After an illness caused Mitrione to pull out of last month’s meeting just hours before showtime, Bellator MMA has rescheduled the heavyweight scrap for their Madison Square Garden debut. Only this time, instead of getting to watch for free on Spike TV, fans will have to pay. According to The New York Post, Emelianenko and Mitrione will co-headline Bellator’s pay-per-view broadcast on June 24. The promotion announced Monday that Chael Sonnen vs. Wanderlei Silva will get top billing. Emelianenko, the most decorated heavyweight in MMA history, will be making his Bellator debut. “The Last Emperor” is perfect through his past five outings, but none of the wins over those opponents are worth writing home to Russia about. Emelianenko was last seen posting a ho-hum majority decision win over Fabio Maldonado in July. Prior to that he hung four victories over fellow past-their-prime fighters in a span of four years. 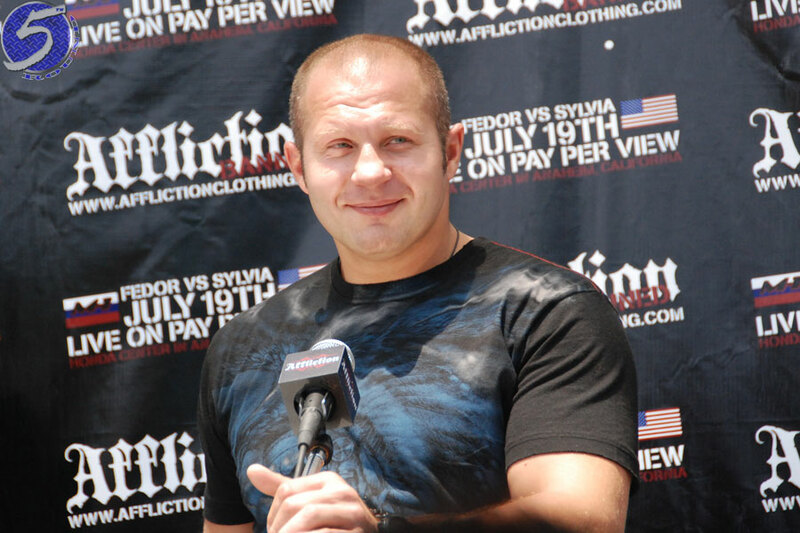 Many today believe Emelianenko is the greatest mixed martial artist to ever live. However, instead of evolving over the years he has become a one-dimensional slugger who abandoned his once-superior grappling and submission games long ago. The 40-year-old now looks to make one final run in Bellator before calling it a career. Mitrione is victorious in his first two Bellator bouts since bolting from the UFC. “Meathead” was last seen posting a TKO win over Oli Thompson in July. The UFC declined to offer him a new deal after closing out his contract on a two-fight skid. Mitrione’s outspoken ways probably didn’t help matters. No other bouts have been reported for the lineup. However, light heavyweight champion Phil Davis and freshly-signed Ryan Bader agreed on Twitter to tango in the event. It’s now up to Bellator brass to make it happen. Bellator did not announce how much they intend to charge for the PPV event.